That looks like so much fun! My family loves to spend the day at water parks. It’s so refreshing to hit the pool and woosh down all the slides. I love love love the beach. I wish I was close to one all summer. Catching waves, body surfing. I’m looking forward to spending time with my kids on the beach this summer. Ones loves the water and one lives the sand. Sounds like my kiddos too, Alexis! This places sounds incredible! Amazing for kids… and adults!!! I am looking forward to spending time with our grand hildren this summer. 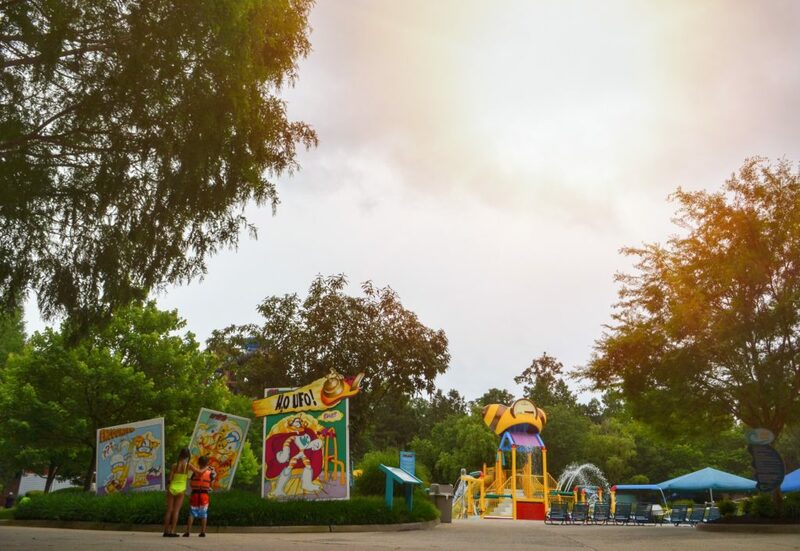 What an awesome place to enjoy some family fun while beating the summer heat. I love that you made it a point to get in a few photos too. Such precious memories! I am looking forward to heading to North Carolina- relaxing by the pool and sleeping late! That looks like so much fun. My family has always loved visiting water parks together. I di not think of a road trip from NY but it could be a fun road trip. My kids love waterparks so this would be a great destination and also check out Busch Gardens. It was so much fun! We flew in and it was the shortest flight ever from NYC which was perfect. I am looking forward to backyard get togethers with friends and family. I also am looking forward to having my grandsons spend time with me. Having some fun here and cooling off would be great. I would definitely try to get on all of the slides and rides! The quick queue would be a good option. Thanks for the recap – we’re still trying to figure out plans for an August getaway and this would be perfect! You had me a cabana rental! Can I chill their while my family explores the park?! Where we live it has been so hot & humid that it gets hard to breathe at times! I would love to release my inner child with a lot of water fun! Im looking forward to our yearly summer vacation trip to the lake house, all the family gets together and we cook out, swim etc! So much fun! I look forward to spending time with my girls as we head to see family and friends. My older two are at camp and once they get back, we are on the go! A $100 would definitely be well spent for some summer fun! This looks like so much fun! We already did our big family vacation, but I’m looking forward to a road trip to my hometown in Pittsburgh to celebrate Blake’s first birthday. I have never been to Busch Gardens, but we should totally plan a vacation there! I’m looking forward to visiting Turks and Caicos this year! I am looking forward to the yearly family reunion camping trip in a few weeks’ time. I look forward to spending time doing fun things with the kids. We already went to the Water Park, and we will be taking our big camping trip next week. We are all excited! I am looking forward to traveling on a road trip to Colorado to see my brother and baby niece! Every year we go the the beach for a week along with my brother and his family. Looking forward to going there next month. Thanks so much. I look forward to things being more carefree, not having to wear boots, multiple layers, etc., especially as I have to walk most places. I am looking forward to going out to Colorado and visiting my brother. Hoping there is a nice water park out there to cool down from the hot heat. I’m looking forward to a trip to South Carolina. I didn’t know they had a Busch Gardens in Virginia. It sounds like you had an awesome time! Love all the pictures you took. I’m looking forward to going to the lake with my nephews. What an absolutely fun place to visit for a getaway. We would love to go here! I’m looking forward to going on a family vacation to the beach this summer. I am looking forward to attending a family reunion this summer! 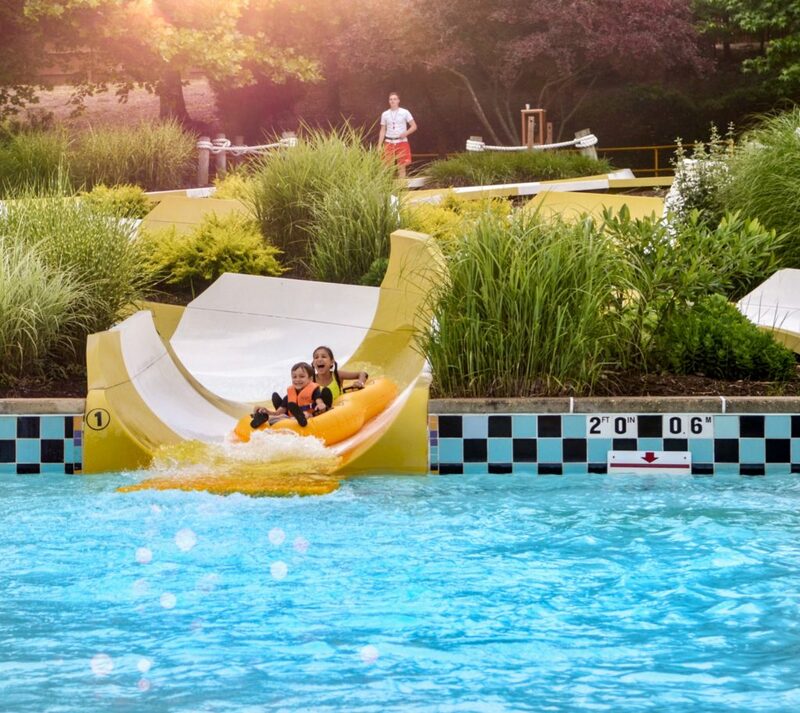 We’ve been to two waterparks this summer already – this one looks like one we would love to go to as well. It’s so HOT here in Florida, we look for every chance to cool off! I am looking forward to traveling on a road trip with my husband and kids ,we are so excited as it will be our first time 🙂 ! Who wouldn’t want a summer vacation like this! I think it’s an amazing place to go to for the summer and it’s definitely a lot of fun for the whole family! I would love to take a vacation here with my grandchildren. We love summer and I am looking forward to spending time with my family and doing a lot of swimming and hiking together. I’m looking forward to my son learning how to dive this summer! We all love to be out for a swimming party. My kiddos and cousin, it’s so fun. Btw, all your pics are great. Your kids look so lovely. I’m looking forward to getting my truck back on the road and finding a job! I am looking forward to camping. I’m looking forward to time down with the kids. We live in a very hectic place and always rush around. The summers are our time to kick back and appreciate each other. Looking forward to a road trip and amusement parks. I’m looking forward to spending time with my family and visiting a new city. I looking forward to time at the pool. I live for the summertime because I adore warmer weather and longer days. Spending time with my family and enjoying the season no matter what we choose to do or where we choose to go. I’m most excited to spend lots of time with my kids! The school year can be so hectic and crazy and we don’t spend enough quality time together! Summer let’s me catch up on time with my boys! I am looking forward to having fun w/my kids, at the park, at the pool, etc. We are hoping to go to Kalahari in Ohio! Love Water Country. Went in Portsmouth NH. Hope they open one closer here in SC or I’ll have to go home to NH to enjoy all the BEST State in the USA has to offer. I am looking forward to a trip to Italy with my mom. Looking forward to a few days camped out by the ocean this summer! Cooks outs, campfire stories, lots of laughs. i love summer. looking forward to going to amusement parks with my family. What I’m looking forward to this summer is going to the beach! I’m looking forward to lots of time with my grandkids fishing and swimming at our cabin! I am looking forward to an evening visit to the San Diego Zoo, one of my most favorite places to visit. water parks are so much fun & safe as the grandchildren get older as we can gather in one section and enjoy the fun! I’m looking forward to a whale watching cruise out of Ventura, CA and very much hoping to see blue whales! I am looking forward to camping for the first time with our kids! I’m looking forward to vacation time and relaxing with the family. I’m looking forward to time with my girls, no school for them and no work for me all summer! its so nice to really reconnect after the busy school year schedules! I’m looking forward to spending more time with my family at the beach this summer! I am looking forward to our summer vacation. We are headed to the beach week after next. I’m looking forward to sleeping in late this summer. I’m looking forward to eating more ice cream. I haven’t have any for a long time. Im looking forward to wedding planning this summer. We are getting married at disney in the fall, and I couldn’t be more excited. I’m looking forward to al fresco brunches, white wine, and travel to Santa Ynez/Solvang and Carmel. I am looking forward to flying 4,000 miles back home this summer and visiting family! I’m looking forward to taking vacation and relaxing in the sun. I am looking forward to cook outs, picnics, sun fun and water play. I’m looking forward to traveling with my family this summer. We already went to the Omaha Zoo and are heading to Seattle too. I am looking forward to heading back to the Maine coast for a week or so this summer. I am looking forward to water parks and county fairs! We are looking forward to spending time on the lake with family and friends this summer. We love sharing out love of the water with everyone. Here’s a link to my tweet, thank you for the opportunity! I’m on a top 50 best of Texas BBQ road trip adventure this summer. I’m looking forward to the beach the most. Just being out in the sun and feeling the sand beneath my feet would be nice. We are looking forward to a trip to CA. I am looking forward to going to Cumberland Falls this month! I plan on floating around in my unicorn all day in our new pool! I am looking forward to vacationing with my grandsons up in northern Michigan! This looks like so much fun! I plan to swim a lot to cool down from the heat! Fun contest! Here s hoping! I’m looking forward to enjoying the veggies from our garden. Actually, I’m looking forward to working in my garden. I love flowers. We’re staying close to home this summer, and since we just redid our deck last year and got a beautiful new set of patio furniture and grill this year, I think we’ll be spending a lot of time at home. I do want to do some day trips with my girls, too – there are a couple of Japanese festivals not far from us, and of course we have some great hiking nearby. I’m really wanting to go to the Indiana Dunes just a short distance from us and to one or more of our state parks for hiking. I look forward to pool time with our children. This summer I’m looking forward to welcoming my second baby! I’m looking forward to relaxing and maybe going to some local state parks. Cant wait to spend time with family! My family is going on a 2 week camping/fishing trip. Totally out there with limited social contacts. It is going to be a blast! 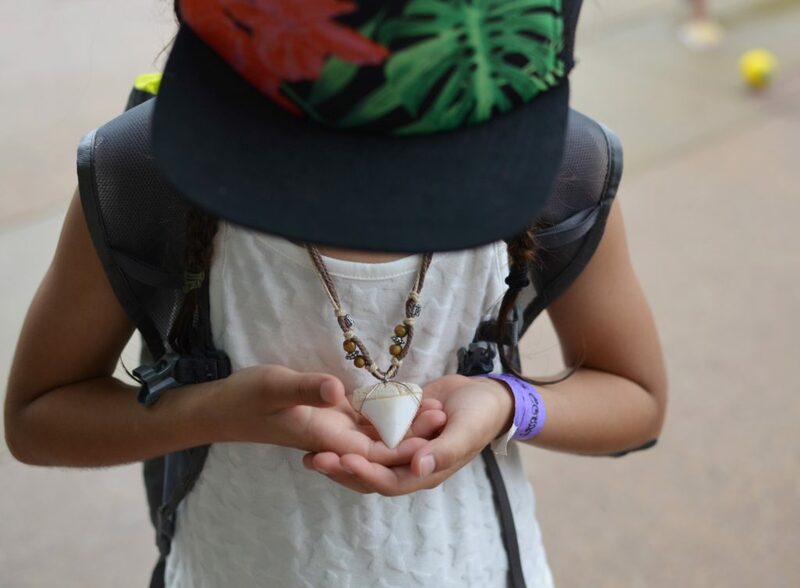 Your summer adventure looked like so much fun. Looking forward to a wonderful time with family and friends. I’m looking forward to spending leisure time with my granddaughter and not have to rush to school and no homework! I love spending time with my garden, and eating outdoors when the weather allows. I just found out I was in remission this week. I am looking forward to no more chemo this summer! I look forward to going to Mexico with my husband to celebrate our ten year anniversary! Our family looked forward to visiting the Dells, we went last weekend and it was a blast! I’m looking forward to long shadows from tall shade trees, a reclining lawn chair, and a tall glass of ice-cold lemonade. I am looking forward to hanging out with my mom more and finishing some beading projects. Also eating the corn we are growing in our garden, never had fresh before. I look forward to taking my kids to the beach. I am looking forward to my daughter starting kindergarten. We are all excited! I’m looking forward to being on the beach with a great book! We are looking forward to taking our granddaughter on a trip to Henry Ford Museum and Greenfield Village this summer. This is the first time we’ve taken her on a trip without her parents. Well I already went to OBX so I would like to just chill with my nephew and have some fun in the sun! I have been moved for a while and I am looking forward to finishing everything that has to do with the new place as soon as I have my new furniture! I look forward to swimming in the summer! I’m looking forward to going to the beach! I look forward to spending quality, extra time with my daughter doing whatever she wants from going to the local museums to local parks to the mall to our local YMCA swimming. We love spending time together and laugh almost the entire time. I’m looking forward to going to Colorado to visit family this summer. Annual summer vacation trip is always looked forward to in our household. I am looking forward to going on several bike rides. i’m hoping for a late summer vacation with the kids! I’m looking forward to going fishing with my husband this summer! We love to spend time at the pool and the beach. I’m looking forward to enjoying some time in the sun with my husband! I am looking forward to spending time in the sun. We are looking forward to going on a cruise this summer. Can’t wait to just chill and relax this summer. I’m looking forward to a few day trips to the mountains with my son to get some relief from this heat! I’m looking forward to completing plenty of our home renovation projects! We purchased our first home in February and it’s been nonstop fixer upper mode since then! I’m looking forward to fishing and gardening goodness! 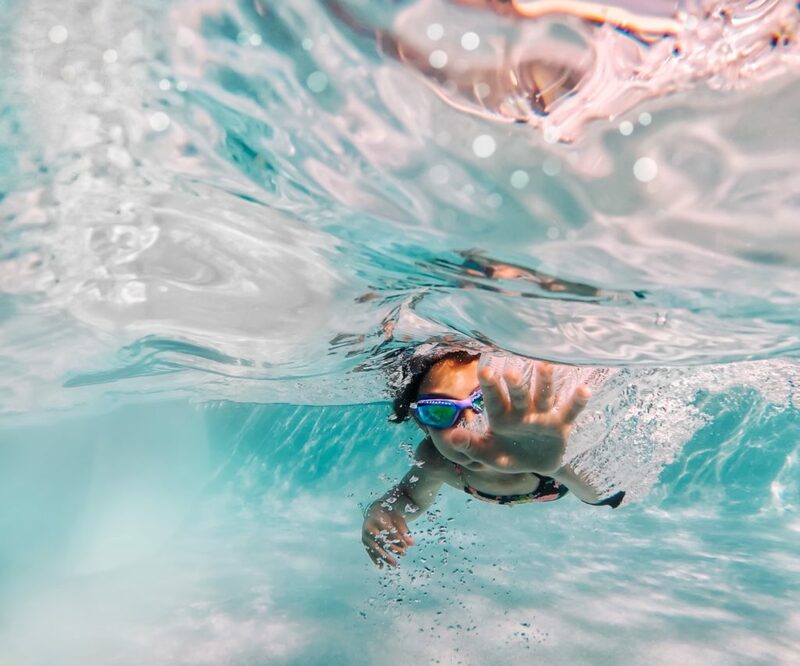 Summer brings lots of fun water activities. We like to set up sprinklers and water toys for the kids to play in the back yard. We also take a road trip to spend time visiting the Grandparents who just happen to live close to the beach. We just got back from a family cruise to Alaska. Also my son just got married on 7/8/17. He is the first of four to get married. Our twin daughters just turned 30 – milestone birthday. I am looking forward to a 7 day cruise in a Aqua suite Labor Day weekend plus weekend getaways to the beach in our RV. Summers are when we get to catch up on some of our grandchildren. We look forward to visiting our children. The kids ae so busy with work and raising our grandchildren we make it easier by spending time with them. Traveling to another state to see a couple and doing weekend trips to visit. Which always results in taking a kido home with us for a week or two! I am looking to spend time with my kids in the beach or the sand. My babies are water babies. I look forward to relaxing, going to the beach, and seeing movies in theaters. I look forward to lots of cookouts and watermelon! I’m looking forward to watching my grandsons play for their Little League district championships. My favorite week each year is the week we spend at the beach with family! So I’m really looking forward to that again this summer! I like being outdoors in the summer time. I tweeted at https://twitter.com/lestercavey/status/886627894193160193. I’m looking forward to my daughter’s first birthday 7.22. It’s been such an amazing tear just think of how miserable I was to be pregnant in the summer last year. Looking forward to celebrating her day at the DC Zoo. Summer to me is going somewhere you don’t usually go.Somewhere new and different, doing new things rather than doing your daily activities.Summer is the time to have fun and go to the beach, pool,hang out with friends or travel around with family.Whether its just walking my dog or even visiting the zoo, at least I’m doing something to start off or even finish summer. I look forward to spending time with family. We are looking forward to a family trip to N. California! I’m looking forward to our cruise! 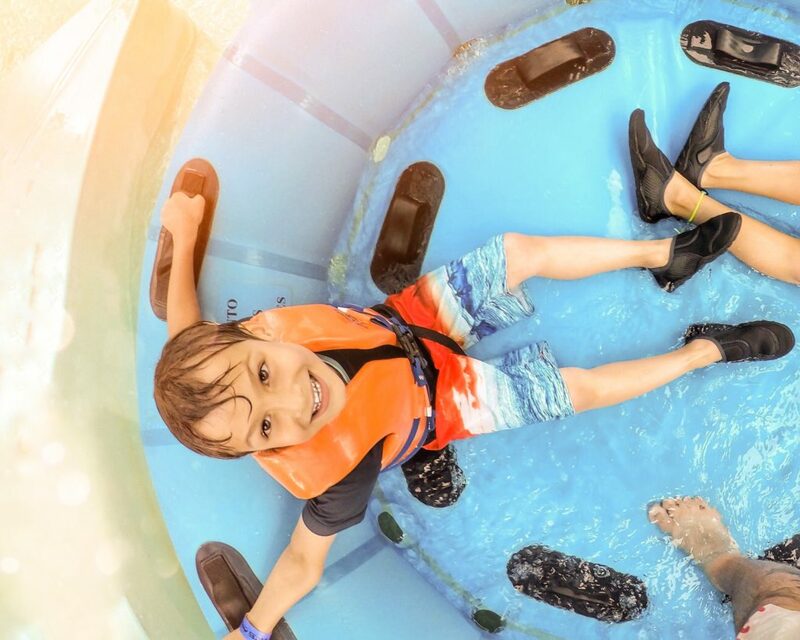 A trip to a water park is always a fun activity for my family. My inner child resurfaces the moment I set foot inside the park.I love water slides, but not the extreme ones where you spend a few seconds inside a tunnel. I am slightly claustrophobic so that won’t be my kind of jam. I’m looking forward to concerts the most! We love amusement parks and water parks!! We look forwarding to lots of swimming whether it be in a pool, a lake or tubing in a river! my grandson is hone for the summer after graduating with honors from college. he’ll attend grad school in another state in September so I look forward to preparing all his favorite foods and spending time telling him about our family history. Looking forward to gardening in our garden (and getting a tan! ), and ATVing here in the mountains of southern WV! We aren’t planning on going on a vacation but just doing things locally like going fishing, going to the movies and going swimming. That looks awesome! I am looking forward to pool time with my kids. Looking forward to California Sisters’ trip! Love the warm days and the sun and water.Love to just feel the day with those I love! Enjoying the time we spend together! I look forward to the rest of my vacation. I love visiting my kids – one in SD, the other in MN. We usually take the RV and get to spend time catching up, exploring the area, and enjoy the great outdoors! I’m looking forward to drives by the ocean. We’ve been looking forward to relaxing outdoors and doing nothing! What I am most looking forward to this summer is going to Hershey Park with my 11 year old and her best friend for 2 days to celebrate her 12th birthday. As a single working Mama with 2 jobs, I am looking forward to spending some fun, quality time with my family camping, hiking, and swimming and letting my cares just float away! Going to the pool and beach! Love the photography at the water park. Looking forward to doing some wedding planning in the sunshine this summer. Such a fun way to stay busy!! I am looking forward to spending some time with my youngest brothers whom I have never spent a lot of time with since there is a 20 year age difference. I’m looking forward to all the warm weather! I am looking forward to taking my kids camping. Our summer is almost over but I’m looking forward to spending more quality time with my kidlets and making more memories! Looking forward to days at the beach and pool, and maybe getting to Busch Gardens and Water Country USA! I am looking forward to spending time with my kids and my husband. I’m just looking forward to having fun with the kids and sleeping in. I’m looking forward to my sister visiting! She lives in Williamsburg and has season passes for her entire family and is lucky to be able to visit Water Country and Busch Gardens frequently. I can’t wait to see her and my nephews and niece. We love to go camping and taking the grandkids on adventures in the summer! I’m looking forward to celebrating my kid’s birthdays. They are both summer babies. Looking forward to traveling with my grandson to Florida! I’m looking forward to relaxing and taking a little road trip this summer. I’m looking forward to making a couple trips to Six Flags St. Louis to ride the coasters and see the shows. Thanks. I’m looking to forward to going to the beach some time this summer! The temperatures have been relentlessly brutal here! Yes, I am looking forward and actually enjoying this summer spending time with family and friends. I love going to flea markets and rummage sales.plus it saves me money and is so much fun. I am looking forward to our road trip to NY. We are going to be ale to visit family ad friends and have my son’s 5th birthday party. I am looking forward to getting some outside projects done! Looking forward to fun in the sun with my husband and daughter! I’m looking forward to our family reunion trip to Florida. We don’t get to go every year, always fun to see everybody! Love all the outdoor time! 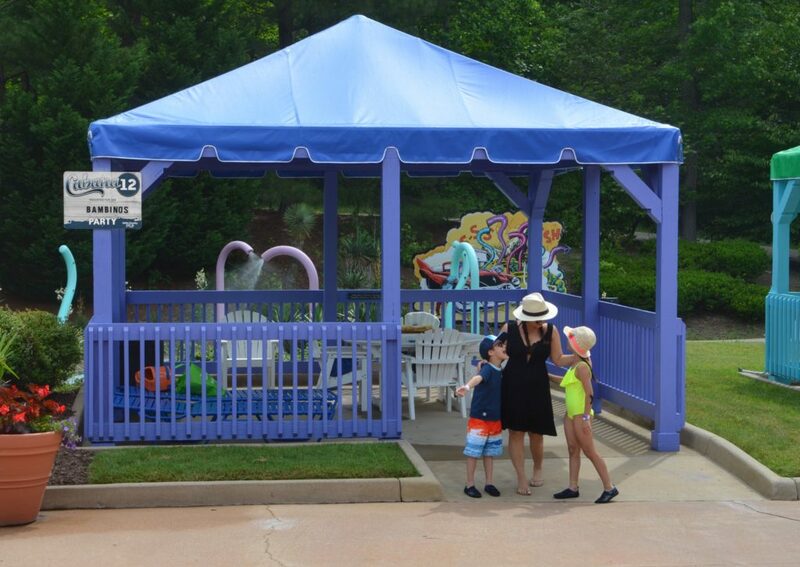 We love to visit amusement and waterparks with the whole family. It is often the only time we get together in the summer. I’m looking forward to a camping trip with friends. Look forward to gardening, relaxing in the backyard. Looking forward to just spending time with friends and family. I am looking forward to spending lots of time in the water on our boat. Looking forward to taking my sons on a lot of fun day trips. I am looking forward to take my son who just learned how to swim to a beautiful watermark. Looking forward to spending more time with my kids! I am looking forward to my daughter’s first birthday, my son’s third birthday, and my family’s first vacation away from home. Spending time at any water park with my sons. Thanks for this cointest. I’m looking forward to spending some quality time with my family. I can’t wait to take my two daughters out to do some swimming and relaxing this summer.My oldest is 12 and is such an over acheiver!! She deserves to relax!! My youngest is 20months and is Autistic..so I’m excited to have her enjoy her real first summer!! We have alot of love in my family…just not alot of money for extras!! Thanks for the chance to WIN!! I’m looking forward to going to the beach with family this summer. Looking forward to being outside with my daughter, teaching her to swim, soaking up some sun and nature. I’m looking forward to going camping in the mountains near our home. I am looking forward to having time at home and also having more time to spend with the grandchildren. I looking forward to camping with the kids this summer! I’m looking forward to taking my grandsons to a local fairy tale-based amusement park! I’m looking forward to lots of relaxation and family bonding time. Summertime is when my family slows down a bit, and I want to soak up all the memories I can. I’m looking forward to going to the beach-I love the Jersey shore. I also plan on doing a lot of kayaking. This summer, I’m looking forward to watching my daughter play softball. I am looking forward to spending more time with my 4 kids. I have 2 in College, a senior and a 6th grader. Time is flying by way too fast. It’s all about being in, on, or near the water. I am looking forward to spending time at the beach. This summer, I’m mostly stuck in the shade with my two month old, but I’m looking forward to taking her on her first beach trip & to visit all of the family! we are looking forward to my DAUGHTER graduating college and taking her and moving her into Disney!! She will do a 6 month Internship there!!! Big move coming up! I’m looking forward to taking the kids to the water parks! I can’t wait. We’re always looking forward to time on the water – lake, river, beach, doesn’t matter! I’m looking forward to a road trip to the Smokey Mountains later in the fall when the colors will be gorgeous. I am looking forward to getting out and enjoying the warm weather with my family, doing fun things locally, travelling. I am looking forward to visiting friends in Tennessee. We are looking forward to visitng the beach. We are spending our summer painting our house. Fun Hey? I’m looking forward to my 5 year old learning how to swim!! She’s so close!!! I am looking forward to swimming! I’m looking forward to our annual summer family reunion this summer. im looking forward to evening weather. Looking forward to a hunting trip in Hawaii. Wild boar! Definitely looking forward to our annual family reunion beach trip! I am looking forward to family trips and visiting relatives. I’m looking forward to spending more time outside with my family. I am looking forward to our summer beach vacation. We truly do need some time away! Looking forward to my kid heading off to college and a new chapter in his life. The best part of summer for me is the fresh flowers in my yard, Dahlberg Daisies to be exact! I love all flowers, but these are special to me! I love ’em!! A few years back, I discovered some Dahlberg Daisies (Thymophylla tenuiloba) at my local nursery, and it was love at first sight… I mean with their feathery foliage and cheerful yellow flowers, whats not to love? They give me a “happy-place” feeling! I planted them as a border in my front yard because it super sunny out there, and they did very well until wet summer weather set it, and they all died back. I thought for sure they would all die… but no it wasn’t the end of these little plants, – each spring, after a bit of winter rain, seedlings of Dahlberg Daisies pop up around my front yard, thriving with absolutely no attention from me at all until summer sets in once again. What a timely post! We are planning a trip next summer to the Williamsburg, VA area, and want to spend a day at Water Country USA!! Thank you so much for all of the information. This is very helpful in our planning! I look forward to more time with my grandchildren!!! I am looking forward to many beach days. I’m looking forward to riding our bikes on our local bike trail and taking a couple mini trips around our state. Sorry meant to put the link to my tweet in the comment. We are looking forward to trips to the beach and pool. I’m looking forward to lazy mornings and later bedtimes, days by the pool, and smores by the campfire! I am looking forward to spending time with my family outdoors. I’m looking forward to happy fun filled days at the beach with my family! I am looking forward to road trips and camping! Every summer I look forward to spending time with my family.We always have so much fun swimming,barbecuing,and enjoying outdoor fun together as a family! https://twitter.com/Ladibug151/status/888064301826625540 Thanks for the chance ! This summer I hope to go camping and to the beach with my family! When I’m not working, I plan to stay cool and catch up on my Netflix queue 🙂 It will be lovely to relax! Looking forward to taking a trip to Disney. I’m looking forward to the eclipse. We live in the best viewing area or so I’ve heard. It will be a fun family time since our daughter won;t be at school that day. I have a grandbaby on his way here in the fall, so this summer I am excited to help my daughter prepare for his arrival. I am looking forward to the warm weather and summer vacations! Such awesome tips thanks so much for the post! The thing I’m most excited about for summer is just relaxing out on the porch during the summer nights just feeling the warm weather, smelling the bonfires, just relaxing, I absolute love that part of summer! ! Heres my tweet. Thanks so much for the opportunity! We had 2 Scout trips and a family reunion on our summer to-do list, and only the reunion is left to attend. Crazy Horse monument is terrific, but the little one just couldn’t make it the last of the hike to the arm. The old fashioned train trip was fun for everyone, and who knew there was an alligator rescue/farm in Colorado! I’m looking forward to my granddaughter coming to visit. She is going to be 7 really soon! Just looking forward to my husband coming home from his year deployment. I’m looking forward to seeing my niece and nephew for the first time in three years. Spending lazy mornings reading in bed and snuggling rather than rushing off to school. I’m looking foward to hanging out and relaxing with friends. I am looking forward to lots of time with my children, creating wonderful memories. We really have no plans this summer. I am looking forward to going to Chicago next month and seeing tons of extended family! I am looking forward to spending time with my kids and doing fun things! I am looking forward to spending more time with my son and husband. I lost my daughter in June at the age of 22 so I have realized that every minute and memory made could be the last! So I intend to make them good ones! Looking forward to fishing with the kids and hanging out with family. I’m looking forward to a road trip with my daughter. I am looking forward to being active and having fun with my son this summer! I have chronic pain and love the warmer weather. I am looking forward to getting my 13 year old away from the keyboard and outside more the rest of this summer. I’m looking forward to going to Washington, D.C. this summer to tour the museums and White House. Unfortunately for me, summer is the busiest time at my place of employment and I take no time off…I’m just waiting for it to end!! I looking forward to enjoying great weather and relaxation. We are heading to the Oregon coast in a few days! It’s our favorite vacation spot! Going to the beach and sleeping in. I AM LOOKING FOWARD TO THE SUN. I am looking forward to so many things this summer! I love that I am able to spend extra time with my children since they are out of school! We make an adventure out of any where we go, near and far! 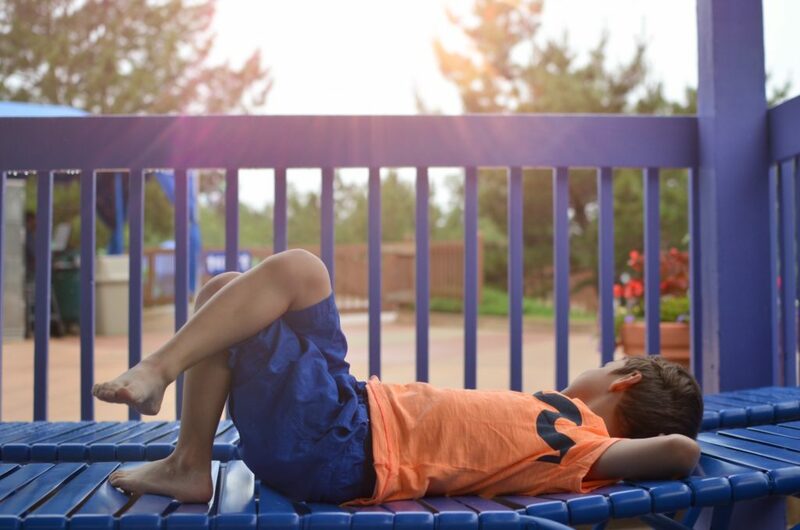 Some of our favorite things to do include camping out right in our own backyard, spending the day at the beach, going for family bike rides, and going to our local drive-in to watch movies! I am looking forward to the weather! I’m looking forward to walking around and trying new things in sanfrancisco this summer. It’s not a huge vacation but I thought it’s about time for me to start showing love to local businesses near me. You can have fun without having to board an airplane. hope I inspire someone to check out their local businesses and try something new. This summer, I’m looking forward to boating, bbq’s, beaches, amusement parks, pool time, fireworks and lobster feasts! I’m looking forward to going to our family cabin on the water in the San Juan Islands and seeing the orca whales up close! I am looking forward to my youngest 1st birthday. It is sad too though. I looking forward to my birthday in August. I’m looking forward to traveling to visit my mom. Looking forward to the MN State Fair! A great way to end the summer on a high note!! I’m looking forward to going to the Outer Banks for a week with my family!! I’m looking forward to a road trip to the beach with friends later this summer. Just so much family time. I’m looking forward to creating family memories with my children. I was looking forward to a relaxing trip to Colorado. I would love to take my little Grandson there. Looks like so much fun! I’m looking forward to hiking in Permberton Park this summer. Looking forward to the beach and lots of miniature golf. Just being outside and relaxing. My Granddaughters’ Birthdays are both in August! Caleah will be 3 and Olivia 8! We’re having a big Double Celebration party! I’m looking forward to splash pads with the kids, and our trip to Santa Ynez/Solvang for wine tasting in a few weeks. Ok summer, I like spending time with my niece. She makes the summer great. Our family loves to camp during the summer. We enjoy hiking and fishing! We like to make fun family memories while the kids are still little. I am so looking forward to getting away from all the hustle and bustle of everyday life and just having some time with my sweetie! I am looking forward to fresh produce out of our garden. We are looking forward to go to the beach. 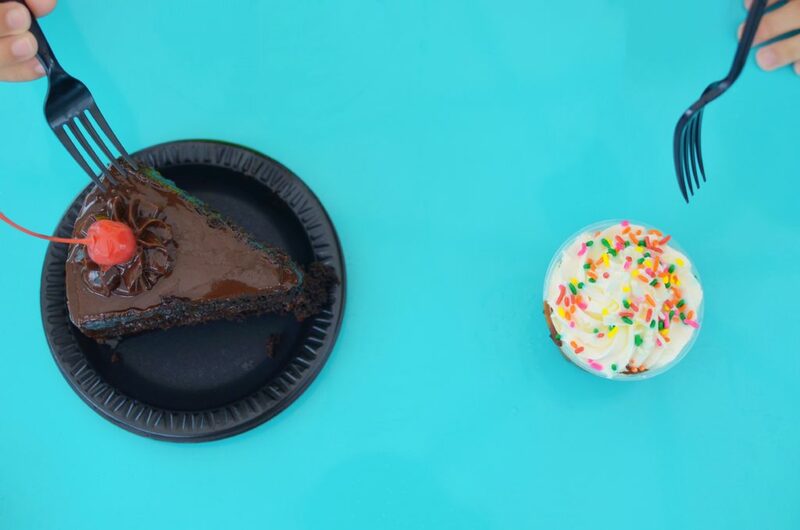 We’re looking forward to celebrating 2 birthdays this month. Looking forward to spending vacation with my grand kids. I’m looking forward to time with family and friends, vacations, weddings, showers graduations ball games etc. I’m looking forward to going swimming at the springs! Such a spectacular place! I’d love to spend my summer holiday there one day! I am looking forward to day trips to Busch Gardens, we go several times a year. What I am looking forward to this summer is no screaming and yelling, and temper tantrums about doing homework. Also not waking up early and rushing out of the house. I’m looking forward to all of the picnics that I will do! I love picnicking in the summer. I’m looking forward to spending a lot of time at the pool with my kids this Summer. I’m looking forward to visits with family members this summer before school starts. I also look forward to visiting one or two state parks. Grilling out is another thing that I’m looking forward to this summer. This summer I am looking forward to weekly pool visits and movie theaters. I’m looking forward to laying out in the sunshine and reading good books! Camp ends for the kids next week so we are hoping to get some day trips in before school starts. I am looking forward to more relaxation, traveling, and quality time with loved ones! It already started, but monsoon season was what I was looking forward to. Actually getting rain this year – it’s so nice. Looking forward to relaxing pool side with my family! This summer our goal has been to go to the pool as much as we can. I am looking forward to spending time with my cousins. I am looking forward to doing a massive closet cleanup and donation. I am so looking forward to seeing two of my grandkids that I have not seen for almost 3 years. I looked forward to our family vacation this summer. Looking forward to swimming in the lake and good peaches. I am looking forward to lots of beach and boardwalk time and outdoor BBQs. I am really looking forward to spending time and cooking with my kids this summer! That’s what we love to do and always fun! I’m looking forward to finishing my around the house projects. Summer is almost over! We’re heading out on a 11 day road trip in 3 days! It’s our last hurrah before we’re back to work and school and all those activities! I looked forward to swimming and seeing several movies in theater this summer. I was excited to travel to Annapolis this summer. Looking forward to going to amusement parks with my family. I like taking my daughter to the water parks. Love to BBQ in the summer! I think what I have and have been looking forward to this summer is spending more time with the grandchildren and being outdoors more. I like to spend more time at the beach to catch the last rays of the sun before summer is over. i AM LOOKING FORWARD TO SPENDING MORE TIME WITH MY FAMILY. I do not like the heat too much. Summer is almost over, but I am looking forward to one last cookout with the neighbors this weekend. Complete with hot dogs, beer, smores and lots of laughs! I’m looking forward to moving into a new place, and then visiting my brother’s family down the shore in NJ. I look forward every Summer to spending more times with the kids & sleeping in on occasion. Camping and hiking is what we look forward to the most in summer. Just having lazy adventures with my kids and no stress. We went to Disneyland this summer .I’m looking forward to going camping too. Making awesome memories with my husband and 2 boys! Summer’s almost over and I’m looking forward to a few more warm & sunny days! I always look forward to outdoor concerts in the summer! This summer I am looking forward to weekends at the cabin – talk about fun! I will be spending more time with my girls this summer. From going swimming classes to teaching them to roller blade! I am looking forward to our road trip to see Mt. Rushmore. Going to the park and beach! Also hiking! I love summer especially the weather. I am looking forward to camping with my family and spending quality time with them. We had a great time on vacation over the summer! I was pretty excited about gardening season. Flowers and home grown tomatoes are the best! Spending time outdoors riding bicycles, kayaking, and hiking. Getting outdoors and enjoying the long days. We had 2 staycations this year and enjoyed our new pool. As I write this, summer is winding down, but every summer I look forward to family barbecues and enjoying the warm weather outdoors. Thank you for the chance to win. I am looking forward to getting outside and enjoying time with my family this summer. I love the hot weather. I am looking forward to a camping trip. I always look forward to our family beach trip! Summer is pretty well over, so now is fair season in my area (which is winding down). We’re hoping to visit a few more fairs and just enjoy each day as it comes. I was just happy to do a lot of day excursions. I’m looking forward to going to visit my grandma – she’s my only remaining grandparent, so I try to love on her whenever I can! I’m looking forward to taking my mom to Jamaica for her 60th bday. We are looking forward to lots of fishing and camping. Summer is for family vacations! Love building memories with my family. If it makes them happy, then it makes me happy. Looking forward to some down time. Just time to rest!! This summer, I backpacked through and into the 14th state on the Appalachian Trail. I’m looking forward to the warmer weather! Summer is over here and the kids have gone back to school. I enjoyed and always look forward to each year, spending more time with my kids. We unfortunately didn’t get to go to the beach this year..hopefully, next year. Summer is just about over. What I always look forward to in the summer is working in and reaping the rewards of my veggie garden. Salt shaker, here I come. 🙂 Nothing like a picking and eating a fresh tomato from the garden! I look forward to having family time at the each and catching movies in the partk! Summer is over but I enjoyed a family trip we took to the Ozarks and a couples trip we took to wine country. We also had a kitchen remodel done this summer which was exhausting but I now am glad it is done. I want to have alot of fun. Im looking forward to a big family reunion. We’re looking forward to spending some time at the beach. My daughter just got married in August in Vermont. It was beautiful there and so was the wedding and I had been looking forward to this all summer. We are looking forward to going to the local orchard. Sadly, the Summer is almost over….so, just looking forward to spending time with my sweet hubby….and maybe go on a day trip before the Summer is out. Every summer, I look forward to the family camping trip. Camping, boating, BBQing…that is the best part of summer. It’s great to be out in nature. Summer was fun, had a lot of family events to look forward to. Now that fall is almost here I am ready to relax! I’m still looking forward to the final camping trip of the year. Hopefully we make it before it gets too cold. We had a great 4 day trip to Santa Fe for the opera. Good food, good music and good friends. Summer’s about over now. Now I’m looking forward to the cooler weather and being able to do more things outdoors with my girls. We really want to go to the zoo so we will do that when it’s a little cooler. Thank you! Summer is almost over. I’m going to miss flip flops, skirts and not having to let my car warm up in the mornings! During the summer, I look forward to bike rides!! I am looking forward to swimming with my four kiddos! That looks like a blast! 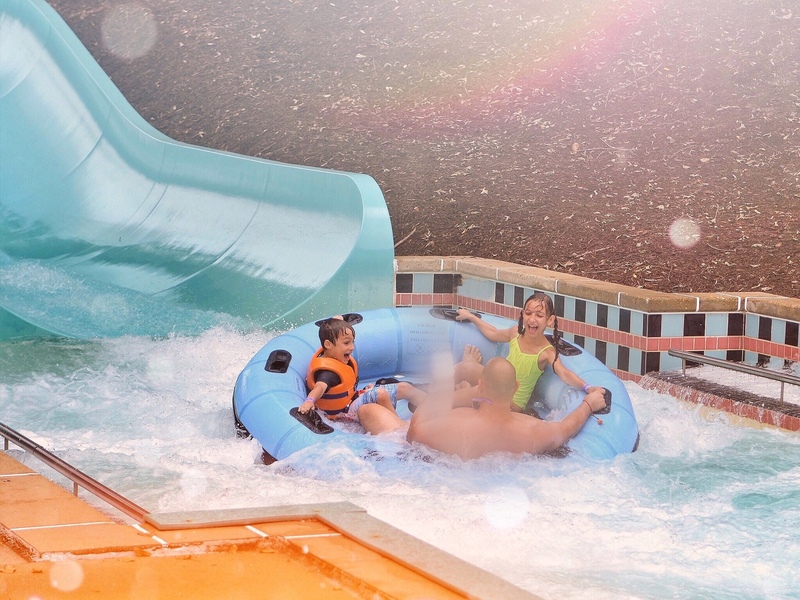 We have never done the waterparks but this looks like so much fun! I’m looking forward to going to NYC with my mom & daughter in 2 days. Looking forward to going to the beach with my family. We are looking forward to one last camping trip before summer ends. My kids love to go camping and fishing so they can’t wait. I’m looking forward to spending time with my grandchildren and outdoor entertaining with friends and family. I’m looking forward to grilling and outdoor entertaining with family and friends. I’m looking forward to visiting my family this summer. I am looking forward to spending some cool summer evenings on the front porch. Well, summer’s now just about over, but I was looking forward to all the outdoor activities we have to do in Virginia. Got a chance to hike, kayak, snuggle goats, drive the skylines. It was a great summer. Sounds like a fun place. I didn’t get to do any summer stuff this year. I love going to the waterpark with my kids. I love being near the water. I haven’t had any plans this summer. I’ve just been relaxing as much as possible and keeping cool. Just spending more time outdoors with my family. This summer we welcomed our first granddaughter! Summer’s just about done but I did have a most amazing visit with my bestie in San Diego! It was perfection! I enjoy and have enjoyed spending time with my mom in Maine this summer! I’m looking forward to outdoor BBQ’s in Kansas City! Summer is over but I enjoyed being out in the garden. We are looking forward to remodeling our house. We went to a few water parks and road trips. Summer was a lot of fun. 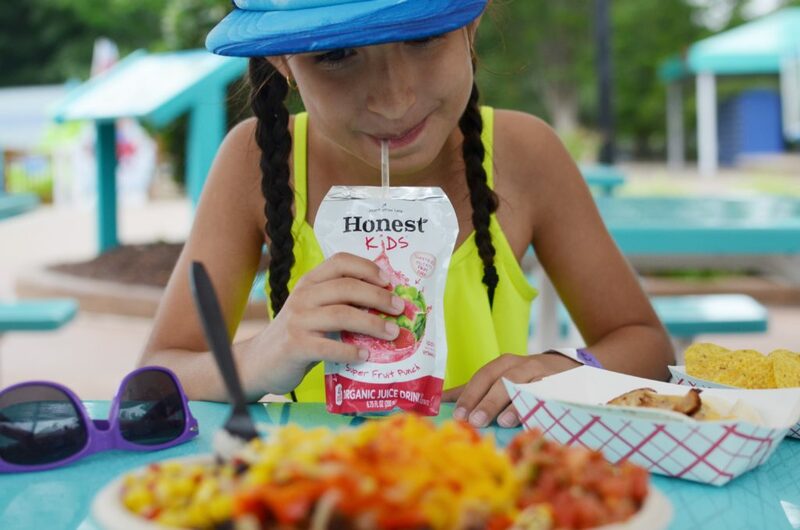 We had fun visiting Busch Gardens for the first time in July. Summer is about over now but I would’ve loved to have gone to the beach. Time with family and a break from working as a school bus driver. I’m back working for the school district, so my summer break is over. But I had fun times with the family, trips, water park, wild animal park, & beach. I love summer, though sadly it’s almost over! 🙁 I love visiting water and amusement parks, and going camping! Thank you so much for the awesome chance to win! Since it is almost over, I enjoyed my summer with family and friends! I look forward to Summer 2018! I always look forward to summer BBQ! I have had a great Summer while spending a ton of time at the lake house with friends and family! We have had a blast on the boat and jet skis and all of the delicious foods and cocktails! We had a great summer, the best part was watching my kids play baseball. We also took some day trips here and there, but our big family vacation isn’t till next spring break..A cruise with my family and our parents! Summer is over; but I loved all the outside walks, grilling, and spending time with family doing outdoor activities. I always look forward to lots of time in the water each summer. Alas, I did not get enough water fun this summer! Looks like you had a fun time! We didn’t go anywhere special this summer, but had a fun time anyways — visited the library A LOT! I love experiencing the water park with the kiddos! I was looking forward to taking the kids to the mountains this year! We were going to hike to the falls and just have some family time! I look forward to eating all the delicious fruit in season in the summer! Spending time on the lake! We love to spend time a the lake. We may camp or just go for a day, but either way we can fish or swim or hike – whatever our mood is. I am looking forward to my camping trip. This summer I am looking forward to weekends at the lake. This water slide was one of the most relaxing water sides I have ever been on﻿! Busch Gardens VA looks like a great place to take the family. 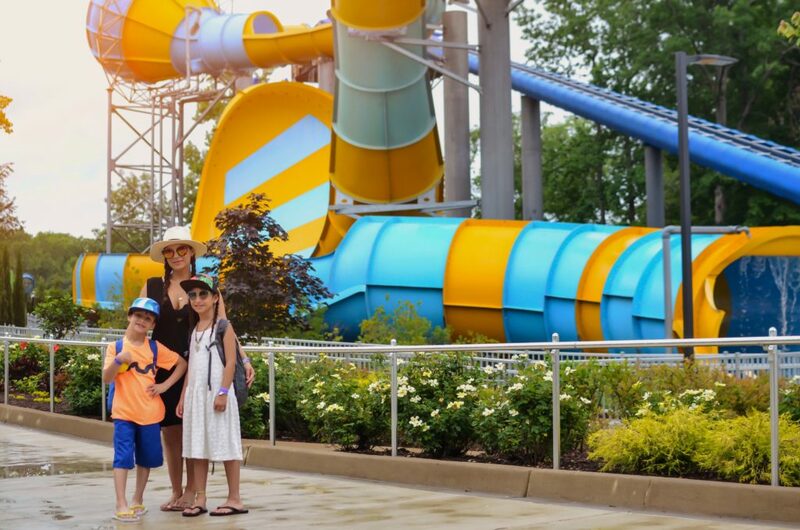 I think the whole family would love to experience Water Country USA, especially on a real hot day. The giant inner tubes have my inner child wanting to go!